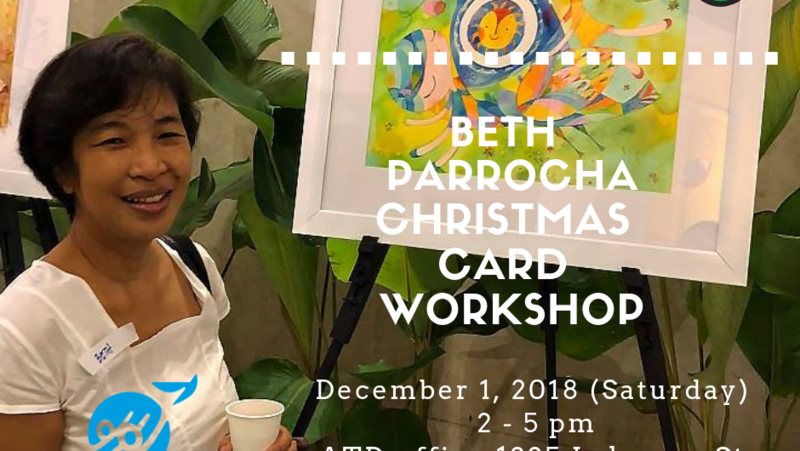 Famous children book illustrator and visual artist Ms. Beth Parrocha is conducting Christmas cards workshop in ATD House on December 1. Everyone is invited to join and contribute minimum 300 pesos of donation as support of Christmas workshops in communities. 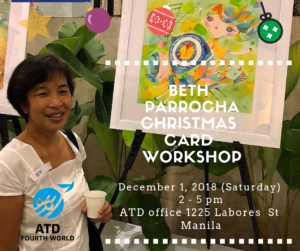 For registration please e-mail philippines@atd-fourthworld.org. Limited number of Slots.